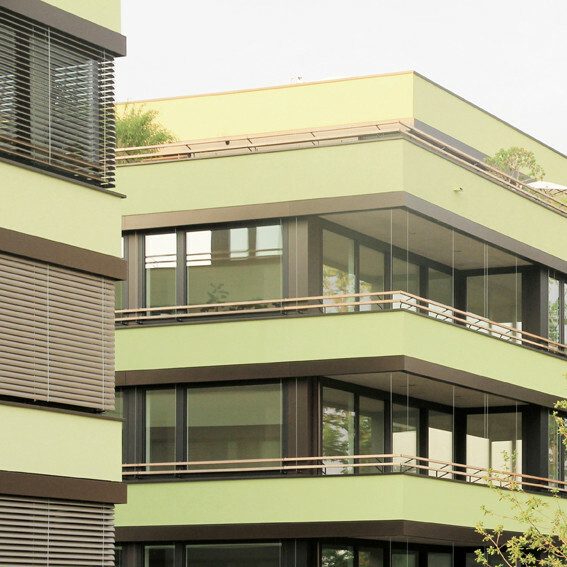 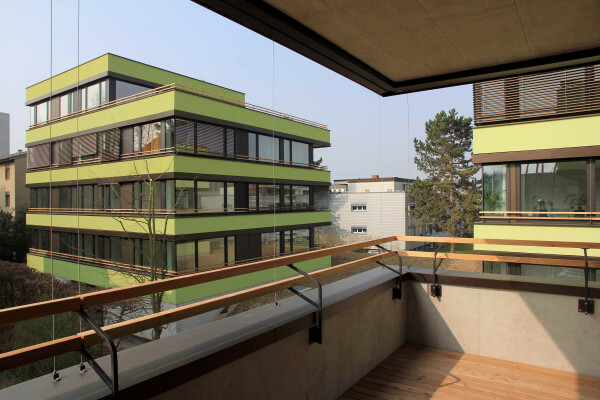 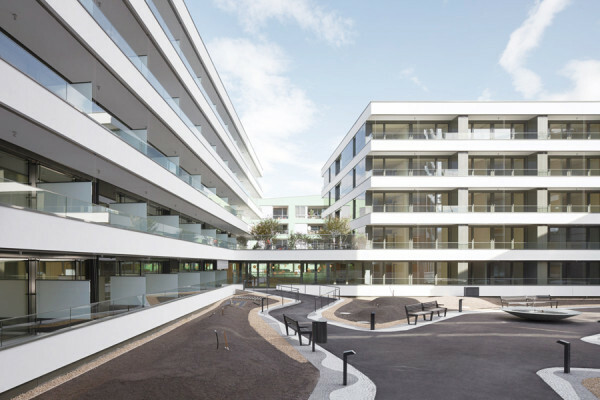 Located within the verdant Basel suburb of Allschwil, the site for this new high-density housing development on Steinbühlweg sits between a mix of apartment blocks, single-family houses, commercial and industrial buildings. 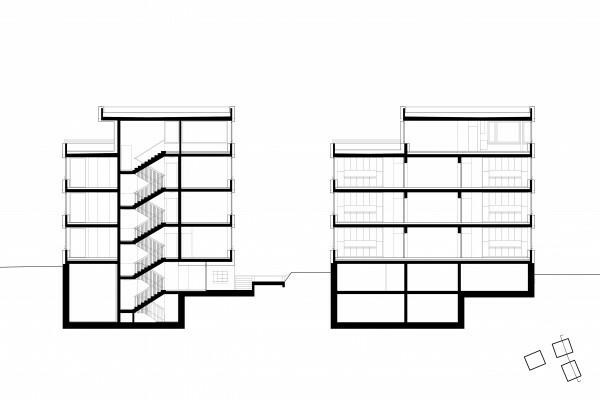 Through a careful study of the geometry of the site and the surrounding urban morphology we created a cluster of three low-rise, high-density structures that respond to both the diverse contextual conditions and the number and scale of housing units required by the client. 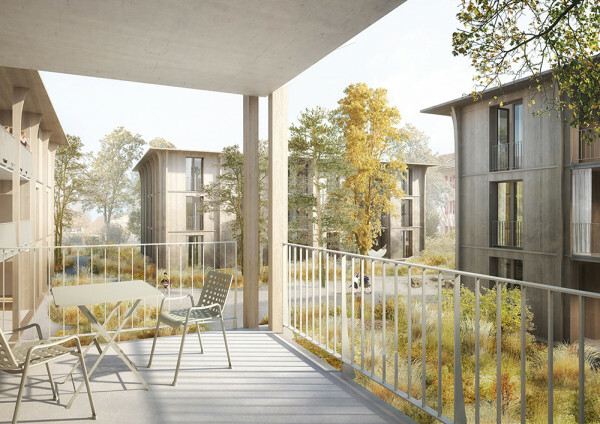 These three compact volumes maximise the potential green area on the site and minimise the impact of the development within the neighbourhood. 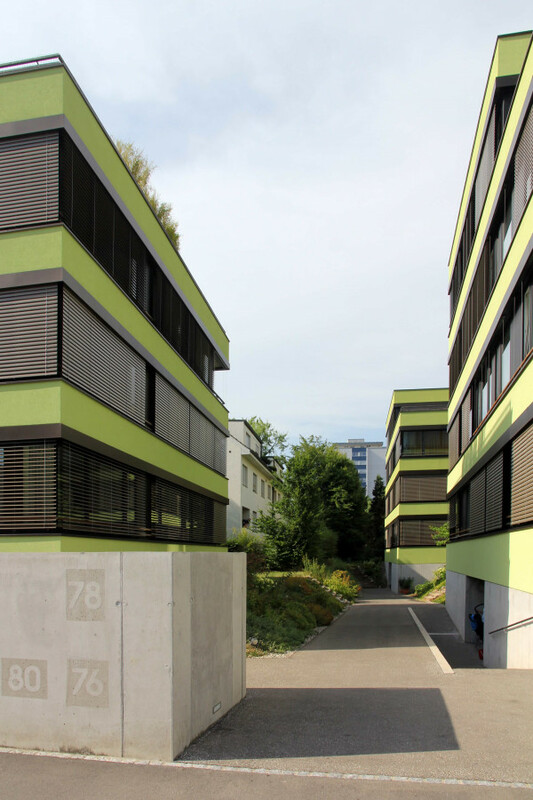 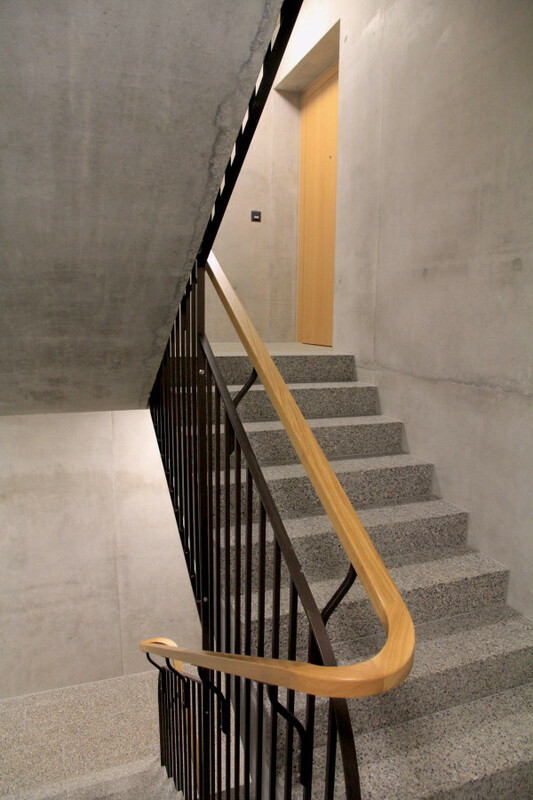 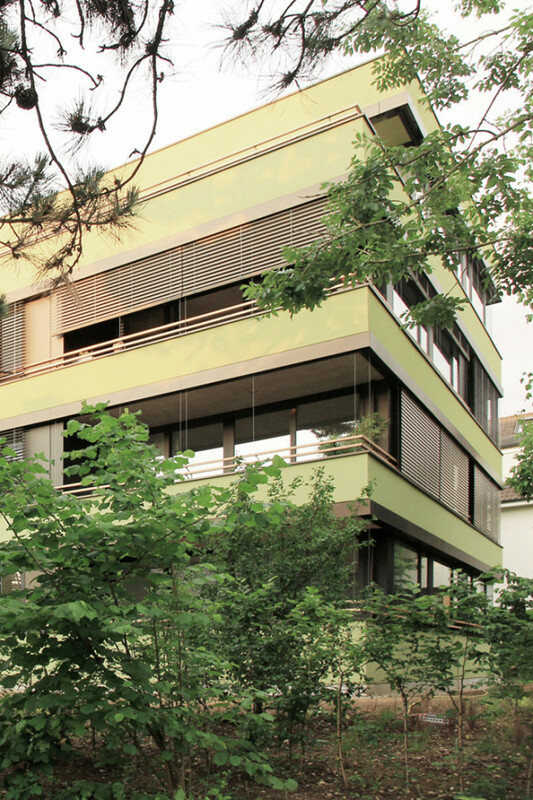 A single common address on Steinbühlweg provides access to all three buildings via a landscaped semi-sunken pathway. 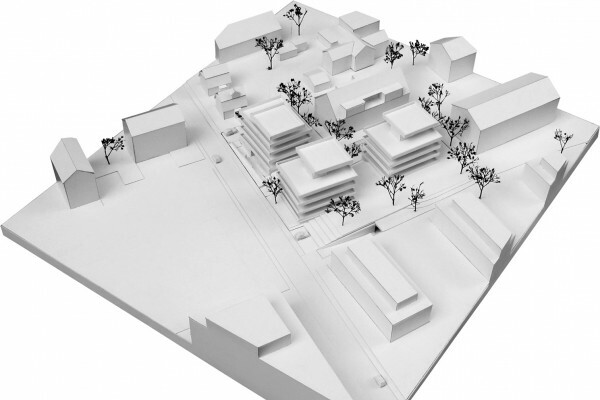 Each of these structures is orientated individually in relation to the edges of the site, allowing all three to actively participate in the streetscape. 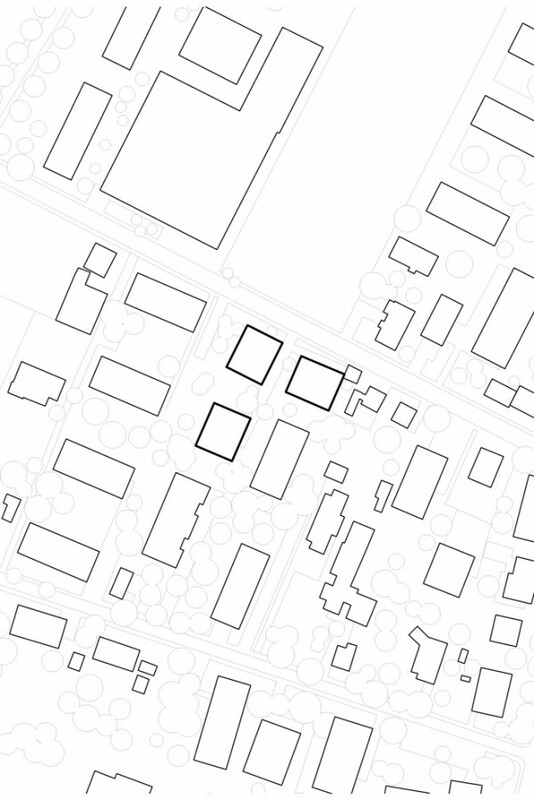 This careful displacement creates a welcoming entrance area between the buildings and bestows the development with its own identity, anchoring it within the district. 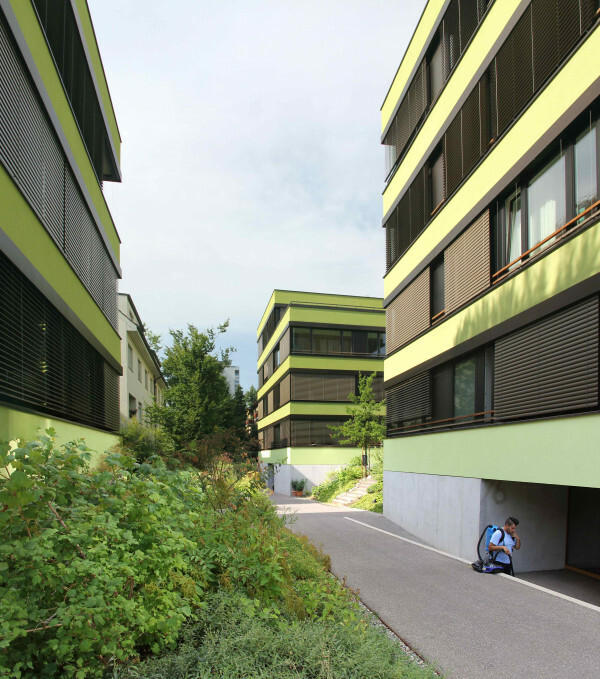 The recessed entrance path affords all ground level apartments privacy and enables a continuous green space to surround the buildings. 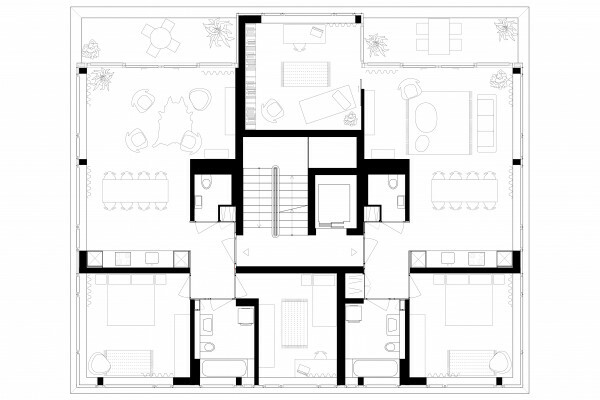 On their interior, two apartments per floor each have their living rooms and loggias orientated to the south and southwest. 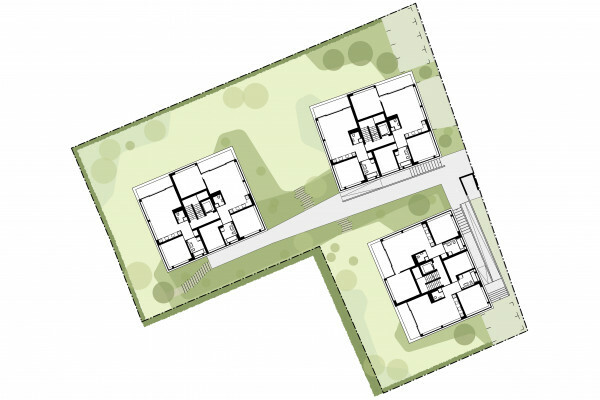 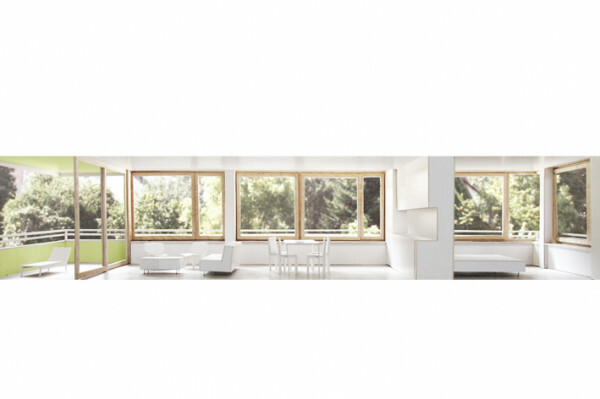 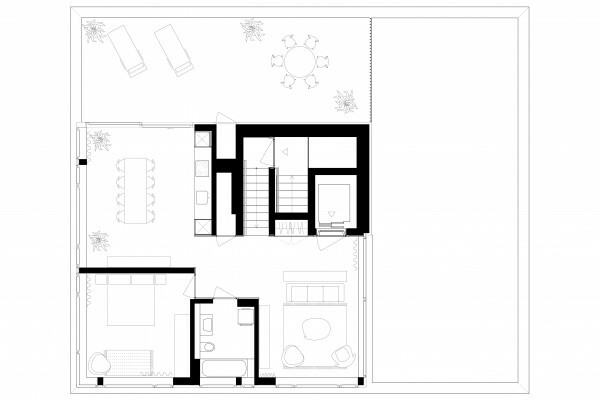 Efficient internal planning enables generous living spaces and spacious bedrooms that afford a high quality of living. 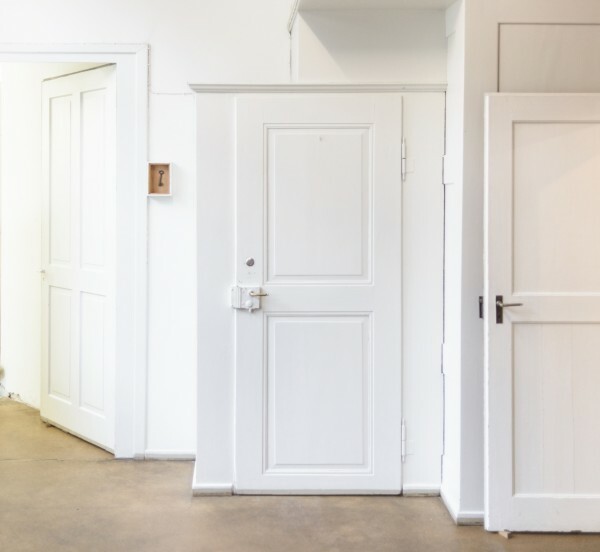 Further flexibility is provided between the apartment sizes within the buildings with the ability to switch the rooms on the north and east sides to allow the development to respond to changes in market conditions without compromising the quality of living in the individual apartments.